The industrial sector has been one of our strongest aspects since the company’s foundation. We develop specialty machines, set up production lines and have developed our own platform for advanced vision systems. We also supply services and take on development projects related to automation, mechanics, electronics, software, telematics and IT. One of our primary strengths is our ability to take on cross-functional development projects that involve multiple technologies. since the company’s founding in 1986, we are known for our ability to take on complete and often cross-functional turn-key projects. Below is a small sample of customers who have made the decision to partner with us. With AstaZero, we have developed the world’s most advanced winch system that controls multiple collision targets for use in the auto industry. The winch system is exceptionally powerful and is capable of precise acceleration of targets, such as elks and bicyclists, to realistic speeds in an exceptionally short amount of time. Since 1989 Consat has been a development partner for SKF in product and production development. SKF has chosen to utilize almost all of Consat’s technical disciplines in both delivery and consultancy. Consat is an approved supplier in the production development area and have delivered both equipment and engineering services to Swedish Match. Since 2011 Consat has been a development partner for Höganäs Digital Metal regarding the production of their high precision 3D printers for metal. The project started as an innovation and development project within Consats in-house operations. The result was a success and has led to further development in technology and major sales successes for Höganäs. Today Consat participates in several new development projects in the area. Consat participated in the development of specialty machines and vision systems for Fresenius-Kabis pharmaceutical manufacturing for many years. The involvement has been both to provide consulting as well as project delivery. Consat worked with Professor Nandan Khokar, Co-founder of Oxeon, to develop weaving machines for Oxeon TeXtreme carbon fiber weave. The product we helped Ripasso develop collects thermal energy from the sun in a parabolic reflective dish that tracks the sun and heats hydrogen gas to drive pistons in the engine. The system provides alternating current directly without the need for additional DC/AC converters, water cooling systems or complex central units. The system converts concentrated solar radiation into electrical energy at a world leading efficiency of 32%. Our close international partnerships that we have developed over the years allow us to take on large and complex industrial development projects. Consat and ABB have partnered for several years in the development of robotics. ABB Value Provider Program is a formal cooperation agreement between ABB and Consat which allows us to incorporate ABB robotics in our projects and solutions. FlexLink is a global company focused on factory automation. Flexlink has chosen Consat as their main provider of development services. We also have a close relationship with their product offerings. We collaborate with the Italian industrial group SoGeSi to develop new production solutions for medical equipment and laundry solution industries. For most of our industrial projects, production technology is a key concept. Well-designed products in an efficient production environment with smart workflows on the shop-floor allow our clients to be competitive in the global market. It is common for large industrial groups to move production between units. Consat has a lot of experience with efficient moving of production and optimizing flows and production equipment to improve efficiency. We also provide risk management and CE marking consulting services. Consat has over 30 years of experience with industrial mechanical construction. We are able to deliver turn-key system solutions by ourselves or with our partners. Our strength lies in our ability to deliver solutions and manage projects that span many technologies. Automation is a central component of many of these projects. Do you want to increase your production efficiency and be able to monitor the production process in real-time? If this is the case, Consat Quidance Vision (CQV) is the answer to your needs. The system enables a continuous and consistent monitoring of the production in real-time. This allows faster actions to be taken to maximize your production efficiency. Information from the CQV system will be accessible to all levels of a company and adapted so that relevant information is displayed to the user according to Industry 4.0. The collected data is stored to enable analyzes of how the process can be optimized. Welcome to discuss how CQV can help you to increase your production efficiency today! CQV three main application areas are Classification, Measuring and Robot Guiding. These areas can be used individually or in combination of two or more areas depending on the application. Classification is used for different quality measures to either give an ok or not ok for your product or to grade the quality for the product. Example applications are batch number verification, detecting defects in products or materials etc.Measuring is used for checking e.g. a product’s dimensions or temperature. The measure data can be used to show graphical trends based on time or sample. CQV can be used for Robot Guiding, i.e. a robot’s movement can be controlled by CQV. An example application is Bin-picking, where CQV is detecting unsorted products in a box or pallet and then guides a robot to a correct picking position..
Consat Quidance Vision is easy to learn, use and understand. The user interface is intuitive and can be customized based on customer-specific requirements. The whole system is monitored through a well laid out screen which shows all relevant information required to oversee and manage the process. Real-time key metrics are also shown in a number of graphs, which allow users to get a quick overview of the process. When production changes to manufacture new products or use different machines, the operator switches easily to a new blueprint. This eliminates unnecessary stops or manual configurations. The operator always has complete control over possible issues in the production process and can react quickly if issues occur. CQV is designed to meet today’s demands on connectivity. It allows connection to different user interfaces; both directly and to mobile devices, to allow connectivity for different users with different demands on the interface. There is also possibility to connect CQV to an ERP system or the Cloud for exchanging information such as orders and data. The CQV system runs on a computer to which the sensors are connected that are monitoring the process. It also includes a local data storage where the collected raw data is stored; ready for processing or to be sent to the cloud for further analysis. 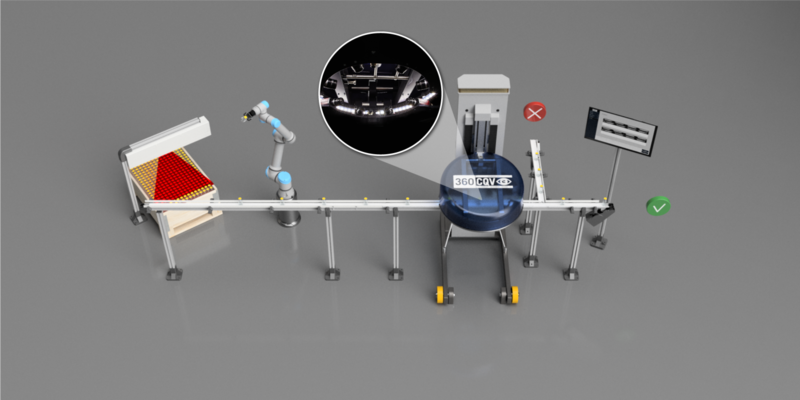 CQV can also interact with a control system or a robot to enable that the routing of a product can be controlled based on the outcome from the process parameters that are monitored by CQV. 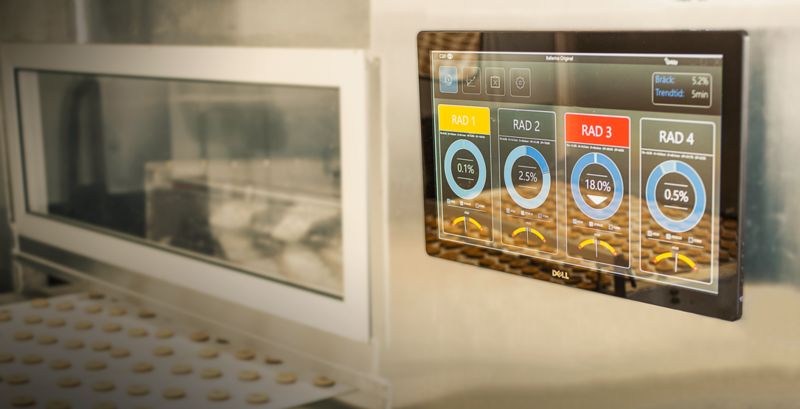 Do you want to increase your production efficiency and be able to monitor the production process in real-time? If this is the case, Optimized Board Scanning (OBS) by Consat Quidance Vision (CQV) is the answer to your needs. The system enables a continuous and consistent monitoring of the production in real-time. This allows faster actions to be taken to maximize your production efficiency. Information from the OBS by CQV system will be accessible to all levels of a company and adapted so that relevant information is displayed to the user. The collected data is stored to enable analyzes of how the process can be optimized. Welcome to discuss how OBS by CQV can help you to increase your production efficiency today! OBS by CQV is designed to meet today’s demands on connectivity. It allows connection to different user interfaces; both directly and to mobile devices, to allow connectivity for different users with different demands on the interface. There is also possible to connect OBS by CQV to an ERP system or to the cloud for exchanging information such as orders and data. The OBS by CQV system runs on a computer to which the laser sensors are connected that are measuring the boards’ dimensions and defects. It also includes a local data storage where the collected raw data is stored; ready for further simulations to optimize the yield or to be sent to the cloud for further analysis. OBS by CQV is ready to communicate with a control system to enable that the board is trimmed according to the result of the grading and then sorted. The laser scanners are measuring width, thickness and length of each board and compares it with pre-determined quality grades. OBS by CQV optimizes the yield of each board and the output result is then sent to the trim saw. After the board is trimmed, the board is automatically drop sorted into the correct bin. OBS by CQV can be installed in the Green mill, Dry mill and/or Planer mill. Both spruce and pine, as well as other species, are sorted in the system. The boards are transported in a transversal direction through the OBS by CQV system. OBS by CQV measures the board with multi-point profile 3D scanners that places several laser profiles along the board. Then the geometry of the board is calculated. Based on geometry, OBS by CQV can detect five different defects: wane, bow, cup, twist, and spring. Based on detected defects, the yield is optimized for selected grades and their price lists. OBS by CQV also measures thickness, width, and length. The system can also include measured values from external measuring instruments (eg moisture, strength grading, and operator) and let them become part of the optimization decision. There are requirements for transparency throughout the design and development process, and we provide final reports of testing and implementation. Our objective is to not only meet, but to exceed customer expectations and requirements. For this purpose we have an established agile-based quality assurance process for all in-house development. For industrial projects, we have our own concept workshops in order to do development testing, make adjustments and perform the Factory Acceptance Test (FAT) before delivery to the customer. It is very valuable to be able to try new machine concepts through prototypes. We have developed a close relationship with manufacturers and installers, who are able to assist with the testing of prototypes in operational machines and products. For efficient development, it is important to have access to a testing environment. This is why we have invested in our own electrostatic discharge (ESD) protected laboratory with measuring and soldering equipment.